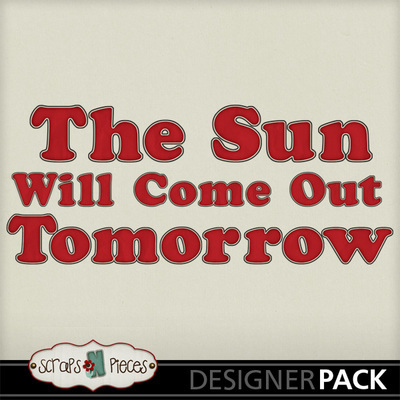 There's just something about the eternal optimist that makes you want to see them succeed. 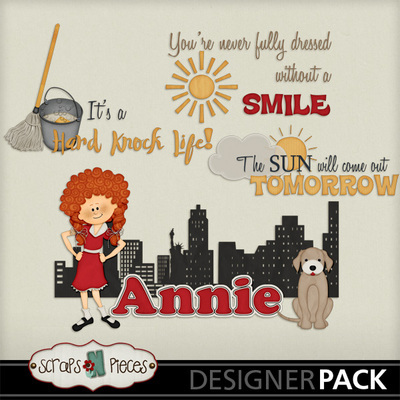 The Sun Will Come Out Tomorrow celebrates everyone's favorite red-headed ray of sunshine, Little Orphan Annie. 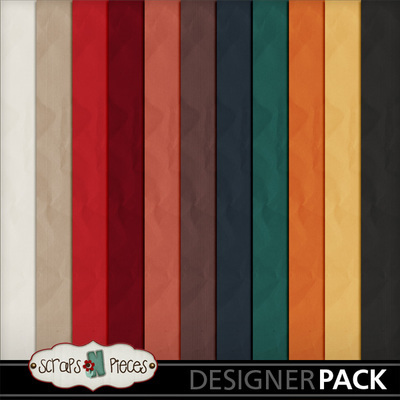 Fans of the musical and myriad of movies will find plenty to love in this kit, which follows her exploits from "hard knock life" to a happily-ever-after ending. 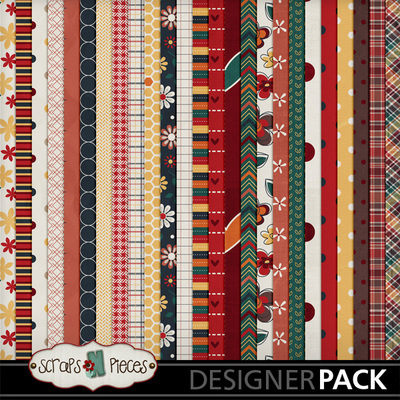 This perfectly themed kit has papers reminiscent of fabric from the dress factory, buckets for washing up, a bundle of blankets, Sandy the dog, and Annie herself – both in orphanage rags and her famous dress. 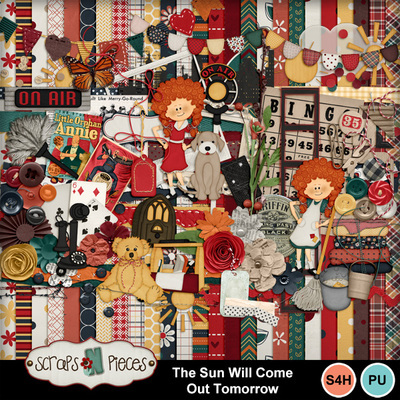 The Sun Will Come Out Tomorrow also contains plenty of suns, a radio and microphone, the New York City skyline, plenty of ephemera (including a Little Orphan Annie comic), thematic word art, a perfect red alpha, and so much more! 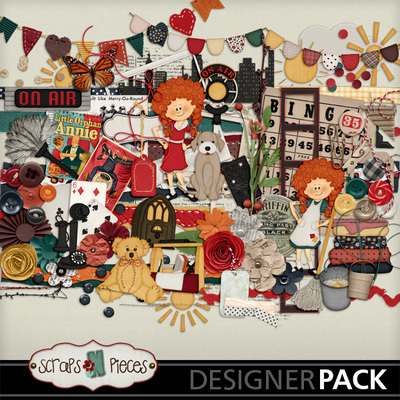 So pick your favorite photos from the theater or of your own Annie fan and make the perfect page with The Sun Will Come Out Tomorrow.